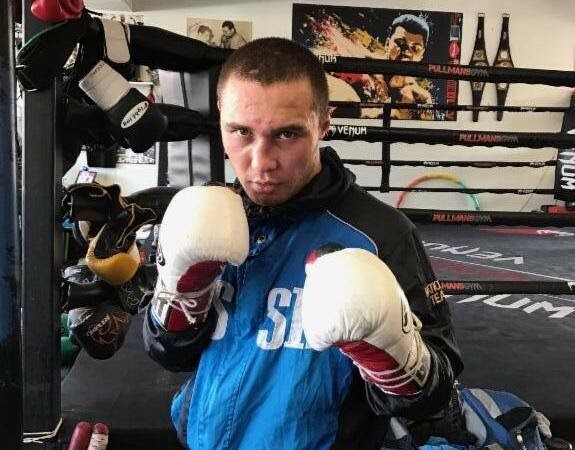 Former IBF junior welterweight world champion Sergey Lipinets 14-1 (10) is looking forward to making a statement when he clashes with former two-weight world champion Lamont Peterson 35-4-1 (17) in a welterweight contest at the MGM National Harbor in Oxon Hill, Maryland on Sunday broadcast on FS1 and Fox Deportes. Lipinets lost his 140-pound world title to Mikey Garcia a year ago but says that he has learnt a lot from the loss. “I learned a lot from that fight. I wasn’t as ready as I thought I was for that fight which is cool. I definitely got something to build on,” he said. Since his lone career loss Lipinets has hooked up with veteran trainer Joe Goossen. “I am working with Joe Goossen now. I have full confidence in him. I began training with him after my debut welterweight fight versus Eric Bone. This is my first full camp with him. I had five different sparring partners and that’s all I needed to get ready,” Lipinets said. Once aspect of this camp Lipinets has been working on is his defence – an aspect of his game many felt was lacking in his fight against the sharpshooting Garcia. “We did. Closed a couple of holes in my defense and worked on keeping my hands up. It still might look easy to hit me but it could be a trap to catch my opponent coming in,” he said.